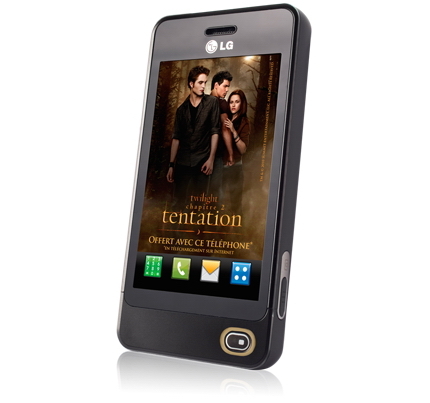 As of last February, the LG Pop GD510 had sold over 1 million devices and now is being relaunched with a special edition just for France: LG GD510 Twilight Edition. 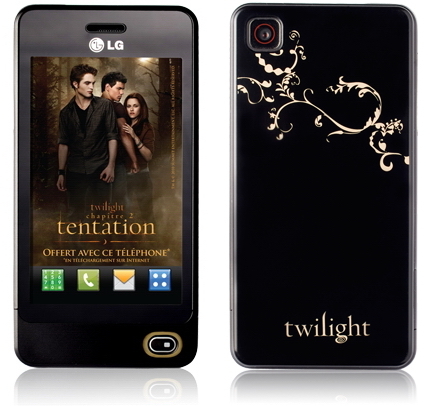 The special Twilight Edition is now available and has been launched to celebrate the Twilight Saga:Eclipse, which will be released in theaters July 7 in France. The LG GD510 Twilight Edition will feature special wallpapers that fans will enjoy as well as the Twilight logo on the back of the LG handset. The handset will come in the color black. , and MicroSD card support.